Who were the most underrated players in fantasy football for the 2018-2019 NFL season? Fantasy football is an imperfect science, and while our goal is always to provide you with the best, most accurate analysis backed by data-driven thinking, we can’t always be right. So who did we miss on in 2018? 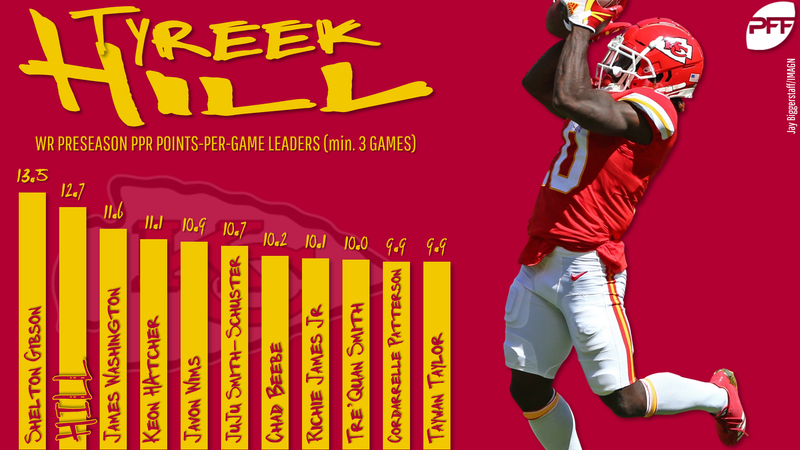 Why we should have seen this coming: Mahomes started the preseason with a 69-yard touchdown pass to Tyreek Hill in triple coverage. After connecting with Hill on all 14 targets in the preseason, we should’ve seen this from a mile away. Why we should have seen this coming: Ryan was just one season removed from his MVP performance in 2016, and the Falcons added a first-round wide receiver in last year’s draft. Why we should have seen this coming: Goff took a big leap in 2017 to finish as the No. 11 fantasy quarterback. In hindsight, why did we expect him to regress when all of the offensive pieces and head coach remained the same? 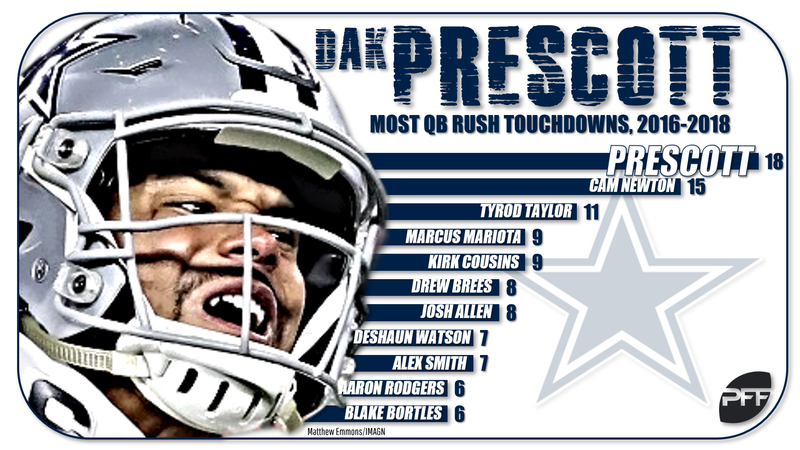 Why we should have seen this coming: Dallas had a depleted group of outside weapons, but Prescott’s rushing ability should have been enough to keep him in play as a tail-end QB1. Why we should have seen this coming: Luck was a top-six fantasy quarterback every other fully healthy year of his career save for his rookie season (when he was eighth). Why we should have seen this coming: White ranked 12th in fantasy points per touch in 2017 and the Patriots backfield the second-softest schedule on a per-touch basis heading into 2018. Why we should have seen this coming: Seattle’s backfield was clearly unsettled as the season drew near, and Carson had displayed big upside in limited time in 2017. 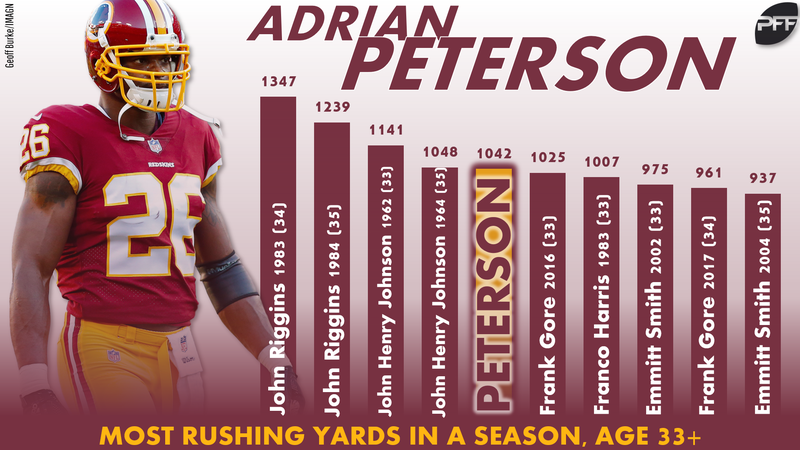 Why we should have seen this coming: Washington had no real threat to Peterson in terms of rushing attempts. Oh, and Peterson is potentially not even human. Why we should have seen this coming: Cohen was RB32 as an explosive rookie. Why we didn’t expect him to improve in Year 2 with Matt Nagy calling the shots was a clear oversight. Why we should have seen this coming: McCaffrey was shooting up draft boards, but we certainly didn’t see RB2 coming. Carolina’s insistence on using him as a workhorse — and then doing so early in the preseason — should have been enough to move McCaffrey into the top 10, at a minimum. Why we should have seen this coming: Smith-Schuster was WR21 as a 21-year-old rookie. It’s hard to know why exactly we didn’t expect him to improve on that, but we should have. There’s now a legitimate question for 2019: Do you draft Smith-Schuster or Antonio Brown first? Why we should have seen this coming: As noted above, Hill caught 14-of-14 targets with Mahomes in the preseason, including some impressive deep balls that were quite literally uncoverable. Why we should have seen this coming: Edelman’s four-game suspension to start the season was overrated. From Weeks 5-17, Edelman was a top-10 fantasy receiver. Lesson learned: Stop overreacting to early-season suspensions. Why we should have seen this coming: The Falcons spent a first-round pick on Ridley and added him to an offense that lit the league on fire in 2016 — and still had most of those key pieces in place for 2018. Why we should have seen this coming: Nobody could have seen this coming, but there were some positive signs: Luck’s return, the lack of weapons outside of T.Y. Hilton, and Frank Reich at head coach, who had grown accustomed to using Zach Ertz in Philadelphia. Why we should have seen this coming: Kittle flashed big-play ability and elite athleticism as a rookie in 2017. We should’ve given him top-10 treatment with Jimmy Garoppolo under center. Imagine what he’ll do next season with Garoppolo actually healthy. 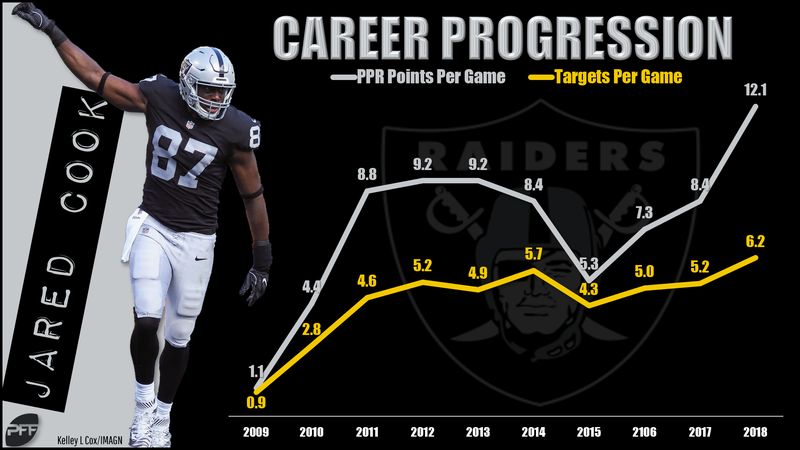 Why we should have seen this coming: Cook had a healthy 83 targets in 2017, third on the team and not far behind the first- (99) and second- (90) most-targeted players on the team — one of whom (Michael Crabtree) was no longer there to start 2018. Why we should have seen this coming: Howard was on pace for a potential top-five season, and we should have known to draft him higher than TE20 given Tampa’s pass-happy approach. Why we should have seen this coming: The former first-round pick was primed for a big step forward from a decent rookie season. He scored twice in the preseason opener, too, showing that he was indeed ready for a bigger role in the offense.